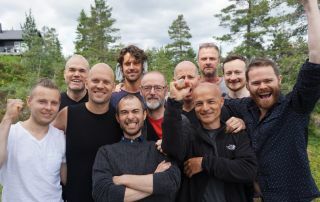 Last week, 12 men and one boy from the whole world gathered in the Norwegian Blefjell mountains for the first Reclaim your Inner Throne annual convention. What transpired there belongs in the history books as the most epic Reclaim your Inner Throne experience so far (and we’ve been through a lot). The transformations were so profound that it blew us all away. 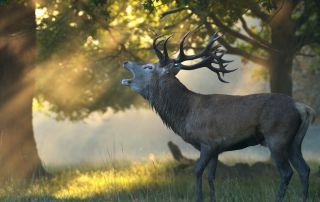 Robert from London described what he saw this week as nothing short of “miraculous”. Instead of writing at length about it here, I’d like to share the videos we made for our Facebook tribe while we were up there. If you have only a limited amount of time, we propose you skip the first video and dig into the meat right away. In this video, assistant course lead Karl-Otto and Eivind speak about the first day. We cover the topics of men’s inner femininity and the balance of order and chaos. In this video, Karl-Otto, Søren and Eivind address the importance of accessing our power to be a force of good in the world. In this video, Karl-Otto, Eivind and RYIT alumni Paul/Khan Mountjoy speak about the balancing act between the Lover and Warrior energies and explore Khan’s transformation. In this video, Karl-Otto and Eivind summarize the convention, share Paul’s new name (Khan). There’s also more footage from the retreat. This has been an absolutely incredible time and profoundly transformational. We hope you will join us in the future for one of our in-person events.